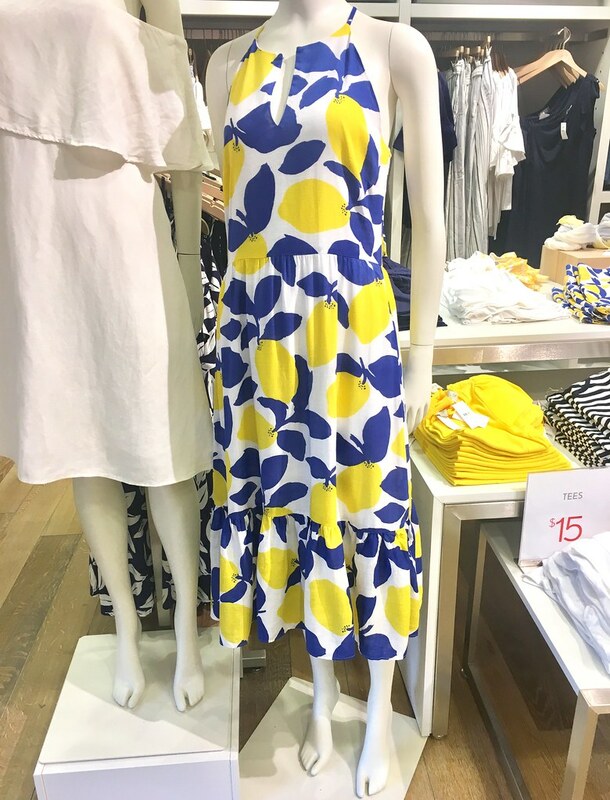 I received a few requests to try on the lemon collection so I headed in store this past weekend to see what I could find. 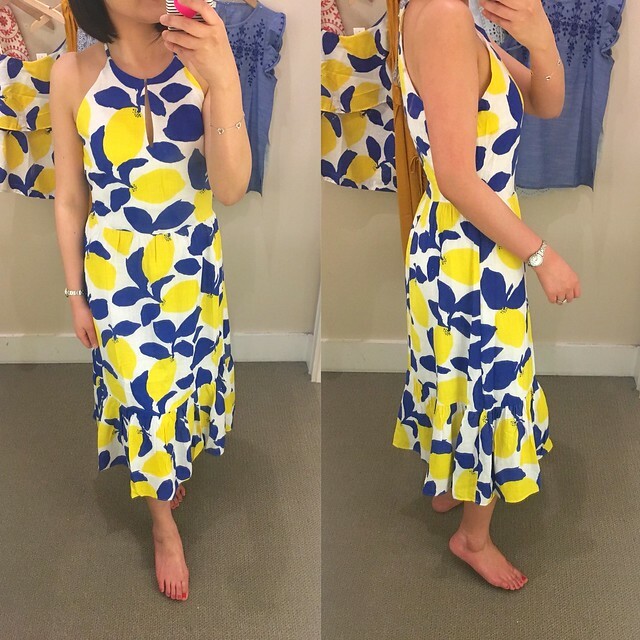 I tried on this dress in size 0 regular and it fit true to LOFT sizing so it was a bit loose on me. 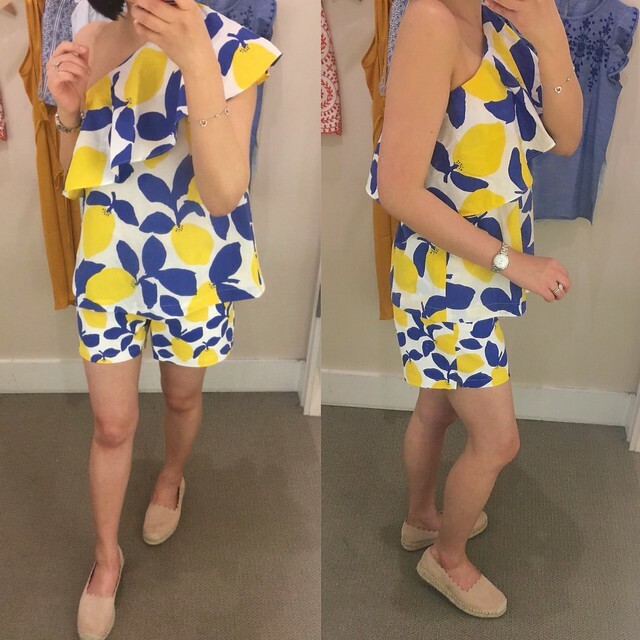 The torso is too long since I’m only 5’2 1/4″ so I was glad to see that this dress is also offered in petites. It is a linen and viscose blend and it is full lined. Refer to this clip and this one for another view of the fit on me. I tried on this one shoulder top in size XS regular and it fit true to LOFT sizing with a wide a-line fit so it flares out at the hips. 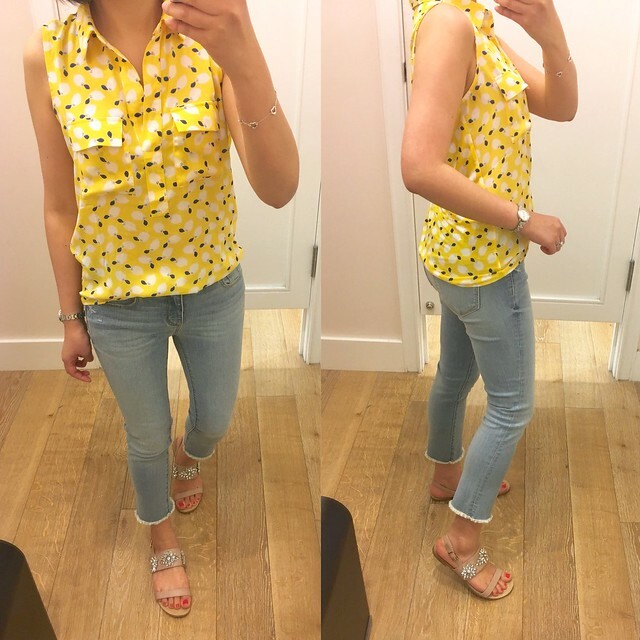 Based on trying on XS regular I would have preferred this top in my usual size XXS regular which is gone. I felt that the large ruffle was overwhelming on my petite frame. My recommended True Fit profile suggests size XXSP for me but I think sizing down would be way too short and boxy to be flattering. Refer to this clip for another view of the fit on me. 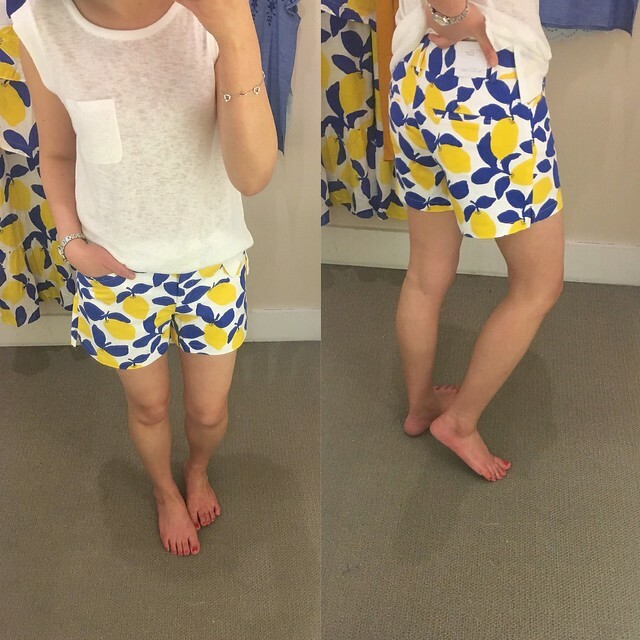 I was surprised that these shorts are not (yet) offered in petites online. Hopefully they will be offered in petites but I’m doubtful since my recommended True Fit profile recommended size 0 for me in these shorts which is completely wrong based on my in store try on. The waist of size 00 regular fits me true to size but the 4 inch inseam is too long for my preference. If you’re unfamiliar with LOFT sizing their bottoms tend to run one to two sizes larger than other retailers. I fluctuate between a 27-28″ waist and 33-34″ hips. Lastly, I tried on this sleeveless utility blouse in size XS regular which has a flattering drape when tucked due to the soft rayon material in the back. The length is actually really long in the regular missy size so I would need this in petites. Personally I try to avoid 100% rayon items due to shrinkage but this issue is easily remedied by letting the garment dry and them steaming out the material back to it’s original length and width. Steaming out the material once it’s completely dry relaxes the fibers that became tight from contact with water. From my experience this workaround works best with the rayon material that looks and feels like soft jersey material. I also tried on these cute frayed crop jeans but the petite inseam was too short for my preference. The waist of size 25/0P fit true to size. I will have to try on 24/00 regular another day for a comparison of the inseam. All of the lemon scarves were balled up in store on the display table in a bowl so I couldn’t get a decent picture. 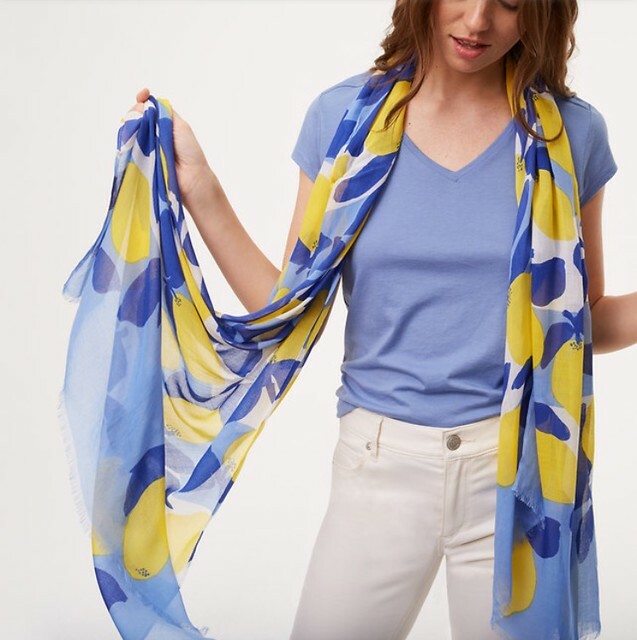 If you love collecting LOFT scarves then this one looks like a light and easy scarf to pair with your summer outfits. I was at the LOFT at Haymarket when I spotted these adorable socks. 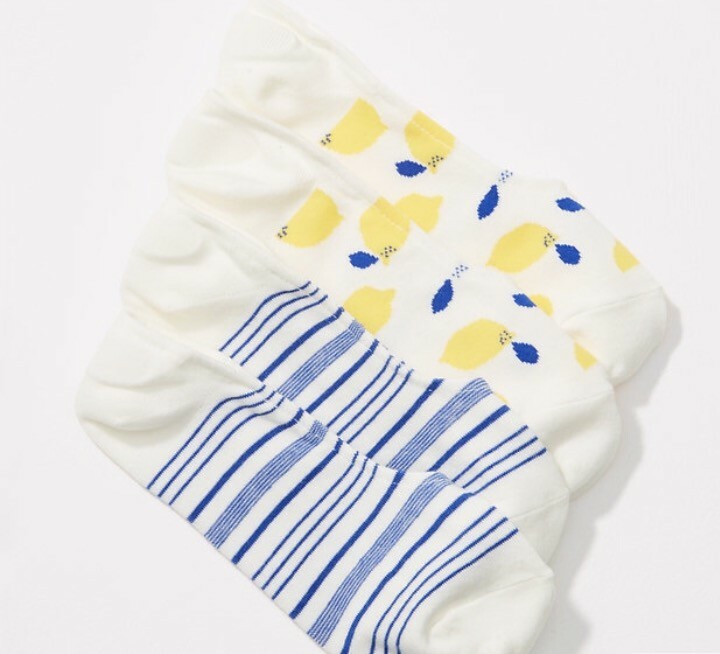 They weren’t placed together with the rest of the lemon collection.